Felling & Dismantling of all types, shapes and sizes of tree in any location and situation no matter how confined or dangerous. We provide professional, affordable tree surgeon services, tree work, and grounds maintenance, including stump removal, surveys and seasoned logs where ever needed. Based in Brinsley near Eastwood, Nottingham; we work across Nottingham, Mansfield and Derbyshire. 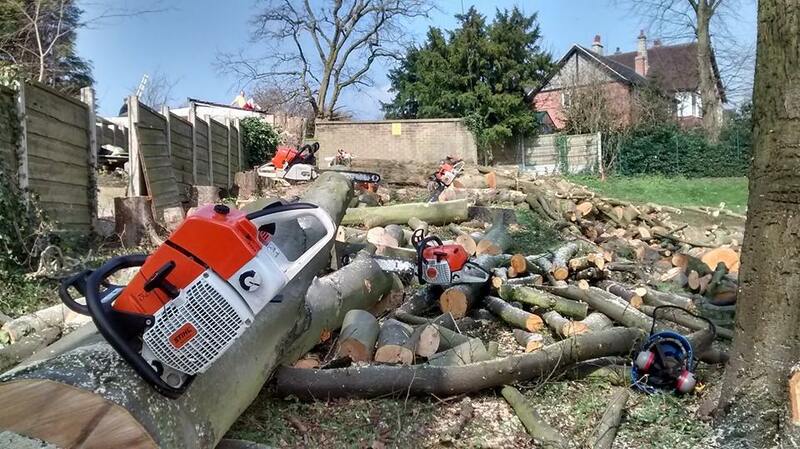 Our tree services include felling and dismantling, crown reductions, cleaning, thinning, and lifting. We undertake proximity pruning, pollarding, repollarding, fungicide and pesticide application, formative pruning, reshaping, and trimming. 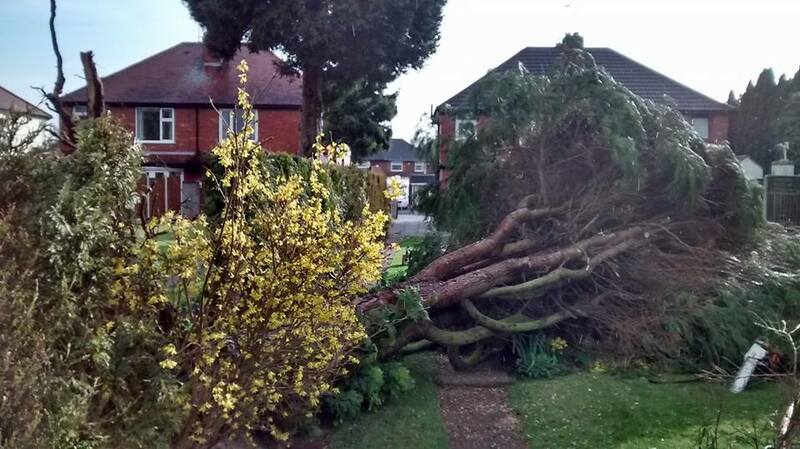 We can work on windblown and dangerous trees, fruit trees and orchard pruning and are happy to take on insurance work. We also work with hedges offering planting, removals, and shaping. 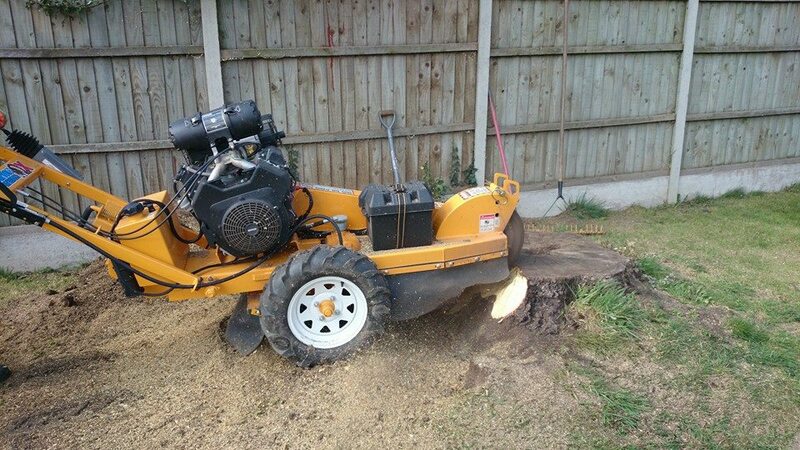 We can remove stumps, no matter what the size or location, and carry out a wide range of gardening and grounds maintenance work including grass cutting, weed removal, leaf clearance, and much more. Here at Orchard we provide free no obligation quotes and advice to all those who seek it. There are a few simple steps to getting things started. 1. Contact Nathan by either using the phone numbers above or the email address on the 'Contact' page. 2. Arrange a day and time at your earliest convenience for myself to come to your property and take a look at the works. 3. The final price is normally discussed on the day, so you know straight away. 4. The quote is written up and sent to you ASAP via either E-mail or post. 5. 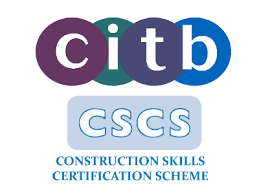 Once you receive your quote check everything is correct and see that near the bottom is the earliest date with which the works can be started, everyone gets booked in (other dates are available if this one does not suit). 6. If you are happy with the quote please do not hesitate to get back in contact and confirm it. 7. We turn up on the date specified and the work is carried out until it is finished, no hassle and no fuss. We always aim to: *Be quick and responsive trying to get out to see you on the same day. *Have a 2 week turn around from first visit to completion. *E-mail the majority of quotes, as it is quicker and environmentally friendly. Started and finished ahead of schedule removing and clearing two Maple trees to make way for the redevelopment of the school. Time for B&K Building Services to start. Trying to find a professional tree surgeon can be difficult. Orchard Tree Care is a locally run company offering a wide range of services individually tailored to meet our customers needs. 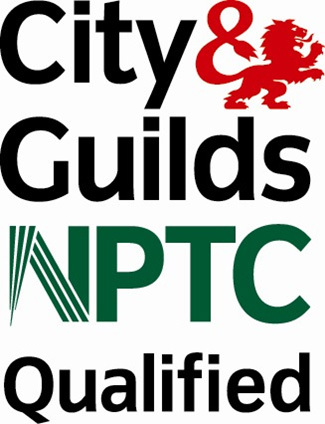 Boasting 12 years practical experience, my firm offers a professional and affordable service no matter how big or small the job. 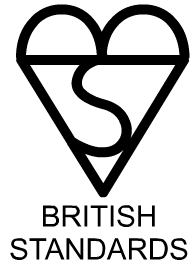 Carry out all works to British Standards 3998 "Recommendations of Tree Work"
All work undertaken follows site specific risk assessments and Orchard Tree Care procedures follow method statements set out by the HSE (Health and Safety Executive) for safer working.